The US economy might be in a bit of a slow, stagnant recovery right now but that doesn’t mean your holidays have to follow suit. If you have been looking for a job—especially for any uncertain length of time—you are probably acutely aware that many retailers will increase hiring around this time of year, when the back to school rush sets in and then is followed by the holiday season. Yes, the holiday season is always a great time to find a second job or a part time job or a temporary job (temp-to-hire, hopefully), but, of course, you have to work in retail. And if you are willing to do that, Target might be a good place to fill out an application. This week, Target said it plans to hire 100,000 workers for the 2017 holiday season. If that sounds like a lot of workers, it is: that is 43 percent more holiday workers than last season! And that is important because it is a major jump in personnel at a time when other retailers are shutting down stores to cut costs. Last year, Target hired about 7,500 extra workers at distribution centers, but this year, so far, the retailer has only brought on 4,500 new distribution center workers. For example, both Sears Holdings, Inc and Macy’s Inc have announced plans to close several hundred stores in the face of competition from online retailers like Amazon and fast-fashion brick-and-mortar stores like Forever 21. Most importantly, though, Target is coming off of what seems to be a four-year [seasonal] hiring freeze. New signs show higher expectations on the heels of the retailers posting its first rise in comparable-store sales in the last five fiscal quarters. 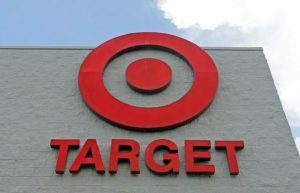 To help cover the needs for the holiday, then, Target also said, last month, it plans to roll out new ship-from-store facilities to more stores, which will allow for 1,400 stores to ship orders out directly from nearby stores.